You’ll be inspired and gain valuable hands-on learning experiences when you take action and participate in one or more of our field programs. 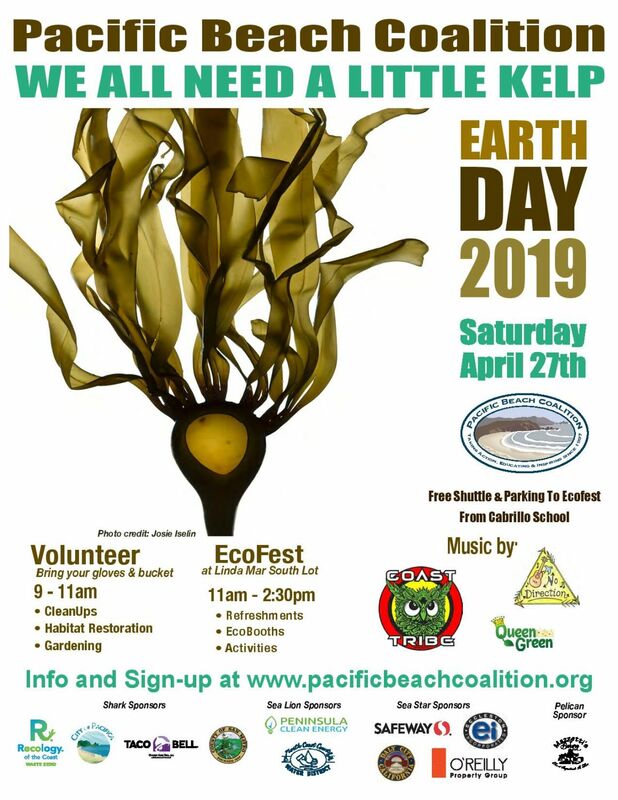 Join the Pacific Beach Coalition, our site captains and other Earth Heroes at beach and community cleanups, and native habitat restoration events throughout the year. 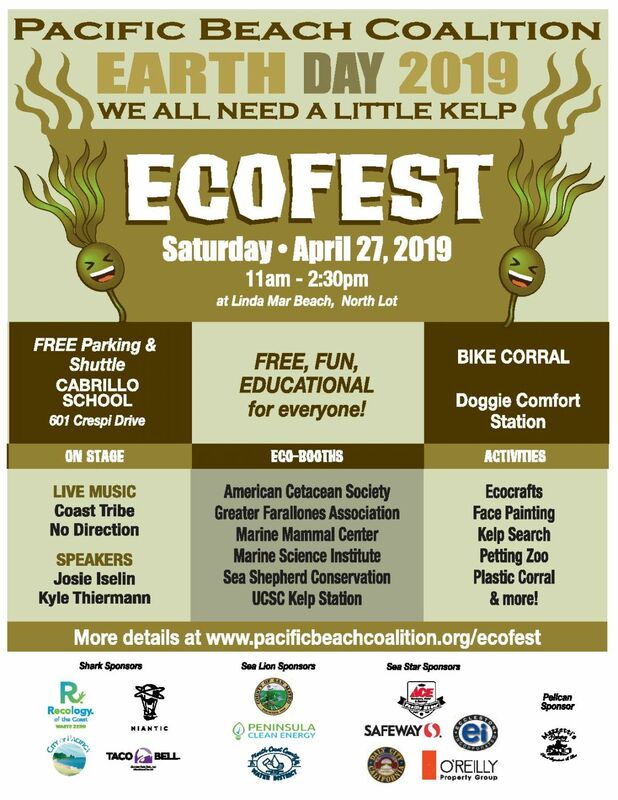 Our beach and community cleanups are held at different locations around Pacifica, Half Moon Bay and along the San Mateo County coast to clean and restore our beaches and shorelines. Check our online monthly calendar for specific dates, times and locations. Held on the first Saturday every month, 9am-11am. Meet at the corner of the North Beach parking lot West on Rockaway Beach Ave. First right on Old County Road. Left on San Marlo Way. Check our online monthly calendar for specific dates, times and locations. Held on the first Saturday every month, 9am-11am. Meet at La Costanera restaurant parking lot. Check our online monthly calendar for specific dates, times and locations. Held on the second Saturday every month, 9am-11am. Meet at the corner of Beach Blvd and Clarendon at the start of the levee. Check our online monthly calendar for specific dates, times and locations. Held on the third Saturday every month, 9am-11am. Meet at the top of the stairs on Esplanade Avenue next to Lands End Apartments. Check our online monthly calendar for specific dates. Held on the third Saturday every month, 9am-11am. Meet at the southern end of the main parking lot (near Taco Bell). This cleanup site used to host the Japanese Tsunami Marine Debris Cleanups. Check our online monthly calendar for specific dates. Held on the fourth Saturday every month, 9am-11am. Meet at the Mussel Rock carpark at the end of Westline Drive by the second entrance to Allied Waste. This cleanup site used to host the Japanese Tsunami Marine Debris Cleanups. Check our online monthly calendar for specific dates. Held on the the last Saturday of the month, 9am-11am. Meet on the Coastal Trail near the sea walls and the Pillar Point RV parking lot. Check our online monthly calendar for specific dates. This cleanup is in partnership with TLClocals. Please visit TLClocals to know the schedule and meeting location. Held on the fourth Sunday every month, 10am-12pm. Meet at the Community Center by the Portola Statue. Walk across Highway 1 and work on Linda Mar State Beach to remove invasive plants, fill in the ‘Give Back Patch’ with native plants and restore habitat. Check our online monthly calendar for specific dates. Held every year during Earth Day of Action in April, and during Coastal Cleanup Day on the third Saturday in September. Additional cleanups take place throughout the year in the spare of the moment when needed. Check for announcements, sign up for our e-News for the latest, and check our monthly calendar for exact dates and times throughout the year. Sign up! Registration is Encouraged. All volunteers are encouraged to pre-register by completing and submitting our waiver/online sign up form prior coming to a cleanup. For logistical purposes, we notify our site captains in advance of the number of volunteers to expect for a cleanup. Also, this pre-registration allows you to complete and submit in advance our Waiver Form required of all volunteers to participate. To sign up, view each site’s page which highlights registration information. To learn more, see our FAQs for answers to most questions about joining our field programs. You can sponsor our field programs, beach and community cleanups by making a tax deductible contribution or in-kind donation at any time of the year. You can help create a more biologically sustainable beach by making a contribution to the Native Habitat Restoration & Plant Fund.